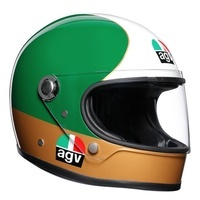 The AGV X3000 Ago Helmet features the same shape and color scheme that Agostini wore on his way to 15 World Championships. Even the small details, like the special contoured chin bar that allowed Ago to lean right up against the tank, remain. 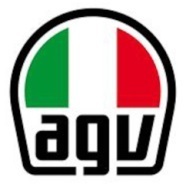 The tricolor design of this once legendary lid was the inspiration for AGV’s equally legendary logo. While the exterior and leather carrying bag may look the same, the X3000 is packed with all the safety, ventilation and comfort you’d expect from a modern day AGV.